Think of the hormone testosterone and you’ll probably conjure up ideas of huge bodybuilders or sportsmen who are just that little bit too competitive. You might even think of that confident Lothario who has a more than energetic libido or an angry guy who just can’t chill out. These are all hallmarks of men with high hormone levels. It’s not very often that testosterone is really discussed in the context of women. And whilst some females have concerns about their testosterone levels being too low, there are also causes for concern when levels go too high. 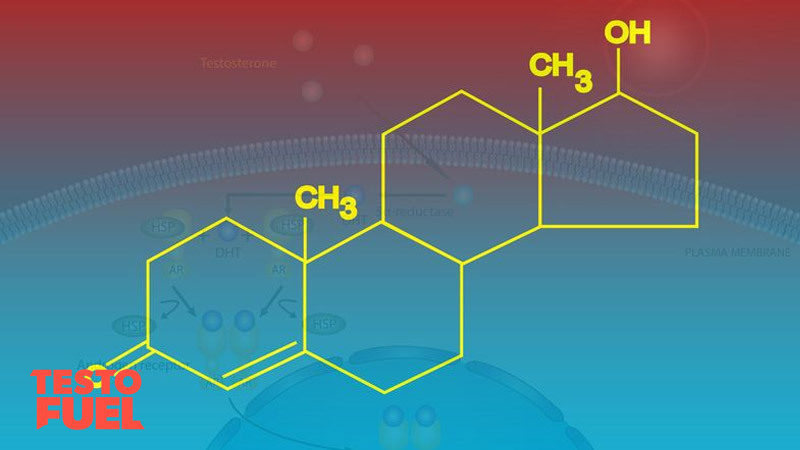 What if your testosterone levels are higher than they should be? What are the symptoms of high T in females? And is it problematic to your health? In this article we take a look at these questions and more. Testosterone (T) is a naturally-occurring steroid hormone that comes under the category of the androgen group. It is produced by the testes in men and the ovaries and adrenal glands in women. In both sexes, testosterone is regulated by the hypothalamic-pituitary-gonadal (HPG) axis. This is a complicated and elaborate system that tightly controls the release of reproductive hormones. The first stage is the release of a hormone called GnRH from a gland in the brain called the hypothalamus. GnRH travels a short distance to another gland just below it called the pituitary. GnRH acts like a wake up call, forcing the pituitary to release a hormone called luteinizing hormone (LH) and at the same time another called follicle stimulating hormone (FSH). LH travels through the bloodstream to the reproductive glands, where testosterone is then released. Whilst the HPG axis essentially controls the release of testosterone in the bloodstream of men, there is much more involved in women. And that’s because the system also regulates the primary female hormones too – estrogen and progesterone. Both of these hormones work together to control your menstrual cycle. FSH stimulates the production and release of an egg in anticipation of fertilization. Boosts brain health, body temperature, as well as bone, metabolic and vascular health. Why is Testosterone Important in Females? In men, testosterone regulates both anabolic and androgenic characteristics. This means that it promotes hair growth, chiseled features, thick muscles and a deep voice. But this doesn’t mean that more is better. Women normally have much, much lower androgen levels then men… and of course much higher estrogen levels. What is a normal testosterone level for females? Whilst men require high levels of androgen hormones to help promote masculine characteristics, you don’t need as much. This means that the average woman has around 10-15 times less testosterone than your male counterparts. Because testosterone is tightly regulated by a number of glands, precursor hormones and enzymes, it is usually kept within normal parameters. If for any reason your body think that it is starting to produce too much then it slows the production of GnRH down, which in turn slows down LH release. This is called a negative feedback system. But this system doesn’t always work effectively, and that can mean that for some women, you make too much testosterone. And although less than 8% of women suffer from excessive androgen levels, the symptoms can be serious. High testosterone in females can lead to infrequent menstrual cycles as you become unable to release an egg from your ovaries. This is because it inhibits estrogen and progesterone, and stops them from doing their job properly. PCOS is one of the leading causes of high T in women and affects as many as 10-20% of women worldwide . It is a largely genetic illness with a strong hereditary connection. Women with PCOS often stop ovulating, grow facial hair and get acne due to the increase in androgens. This disorder is caused by too much luteinizing hormone being released from the pituitary gland, causing an imbalance between androgen levels and the female hormones estrogen and progesterone. The result is growth of tiny cysts on your ovaries, which are not harmful as such, but can lead to infertility and metabolic issues long-term if the hormone imbalance isn’t corrected. Insulin and testosterone are similar hormones in that they are both anabolic. In females, insulin resistance and diabetes trigger an increase in the release of testosterone. The actual cause is currently unclear, but the link between insulin resistance and an abnormal ovarian release of androgens is quite clear. Because insulin resistance is also caused by weight gain it appears that being obese is also a risk factor for high T as well. This is particularly evident in women who have high levels of ‘abdominal adiposity’ or belly fat . Much like insulin resistance, the actual reason why excess fat cause high T is complicated, but is most likely caused by increases in an enzyme called 17beta-HSD . What are the symptoms of high testosterone in females? What is the normal level of testosterone in a woman?